Fleet Alliance has acquired a controlling interest in East Sussex-based Neva Consultants for a seven figure sum. The deal creates a new Fleet Alliance Group overseen by managing director, Martin Brown, with current Neva directors, Graham Prince and Nick Collinson, continuing in their existing roles and being responsible for day-to-day operations at Neva. Neva will continue to trade as a separate brand but the enlarged group fleet size will now be in excess of 25,000 vehicles. Under the terms of the deal, Fleet Alliance will take a majority shareholding in Neva, but Graham Prince and Nick Collinson will continue to have a shareholding in the business, which they formed in 1992. 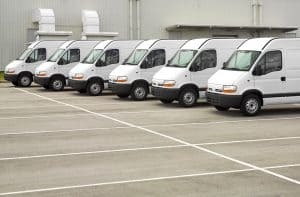 Neva offers a range of fleet management and contract hire and leasing services to both corporate and private customers, and the deal will give Fleet Alliance a greater physical presence in the south of the UK. However, this was not one of the major considerations in its successful conclusion, said Martin Brown. “We have known and worked with Neva for the last ten years or more and, indeed, share the same IT platform and back office systems. In that time, we have come to recognise them as a thoroughly professional, well-run business with a culture very similar to our own. In short, they made the perfect fit for us. “Although we are head-quartered in Glasgow, we already operate on a national basis. So the positioning of Neva in the south of the UK, while useful, was not of paramount importance for us. “More so was the relationship between the two businesses, our greater national presence through a combined operation, the corporate culture and the fit between us. It made perfect sense from a business point of view. “This is a significant investment and acquisition for Fleet Alliance, but I would not rule out further purchases in the future,” he added.